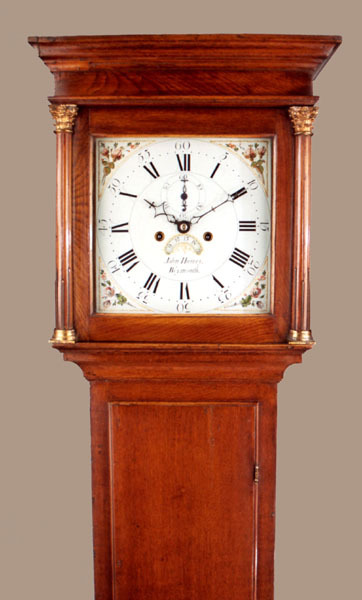 John Harvey of Weymouth Longcase Oak Circa 1795 - Height 76.5in. 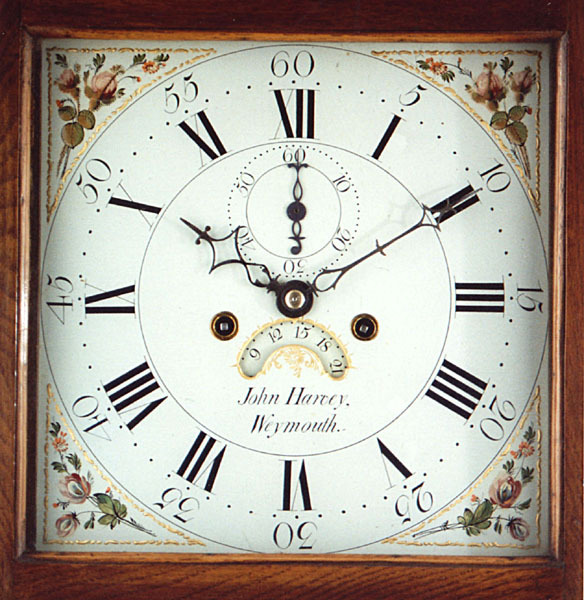 This Longcase Oak Archive's Maker - John Harvey of Weymouth. Born 1758 died 1829.Also Civil Engineer and local "Worthy". Attended Geo.III. on his visits to Weymouth. Late 18C long door plain oak case with flat top hood. 12" square early "Wilson" dial. with subsidiary seconds dial and date aperture. Good quality 8 day 4 pillar movement with hourly ( rack ) striking. John Harvey of Weymouth. Born 1758 died 1829.Also Civil Engineer and local "Worthy". Attended Geo.III. on his visits to Weymouth.